5 TV Shows I'm Loving Right Now! I make no secret of the fact that I watch a lot of TV. More than I probably should. I'm convinced I could read ten, or more, books a month if I didn't watch so much TV. But where reading requires some effort, and concentration, TV is mindless; allowing you to shut off and completely relax whilst you watch. That's my excuse, anyway. There are a lot of great shows on television right now, and today I'm going to share with you my five current faves! The Whispers is a science fiction drama series, co-executive produced by Steven Spielberg. A series of accidents occur around children, who all communicate with the same invisible and seemingly imaginary friend, Drill. They secretly play his 'games' in return for rewards that Drill promises. Claire Bennigan, an FBI child specialist, investigates and finds connections not only between the different children's cases, including her own son, but also to her missing husband. I enjoyed this series so much, I would sneak in an episode whenever possible. 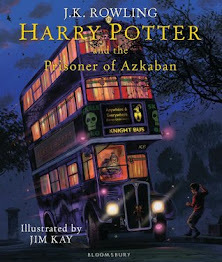 It was fast-paced, exciting and original. And there aren't many shows that can claim to be original, these days. I loved the premise, I loved the cast (including Milo Ventimiglia *drools*) and I loved the show. 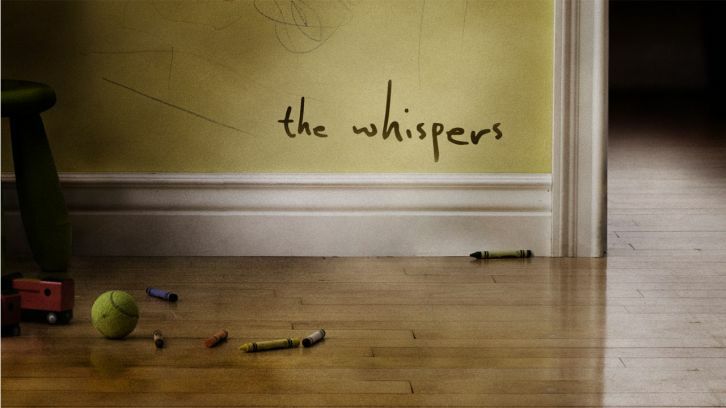 The Whispers ended on a huge cliffhanger, and so I was disappointed to learn that ABC cancelled Series 2 of the show. I'm still hoping they change their minds, and bring it back. 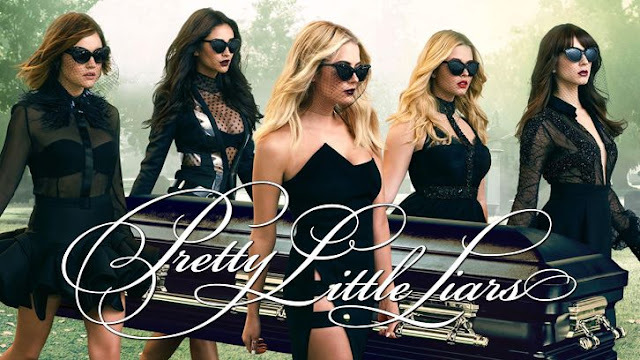 Pretty Little Liars is an American teen drama, mystery-thriller series loosely based on the popular book series of the same name, by Sara Shepard. The series follows the lives of five girls whose clique falls apart after the alleged murder of their leader, Alison. One year later, the estranged friends are reunited as they begin receiving messages from a mysterious villain who threatens and tortures them for the mistakes they made before and after Alison was alive. At first, they think it's Alison herself, but when her body is found, the girls realize that someone else is planning on ruining their lives. I was very late to the party picking up this season, and it took me a while to get through all seven seasons. But, like everyone else, I'm now eagerly awaiting the final few episodes of season seven to come to Netflix (in April, I think?) Despite being a teen drama, this is a really dark and gritty TV series. Prepare to lose many hours of your life to this series, if you haven't already! 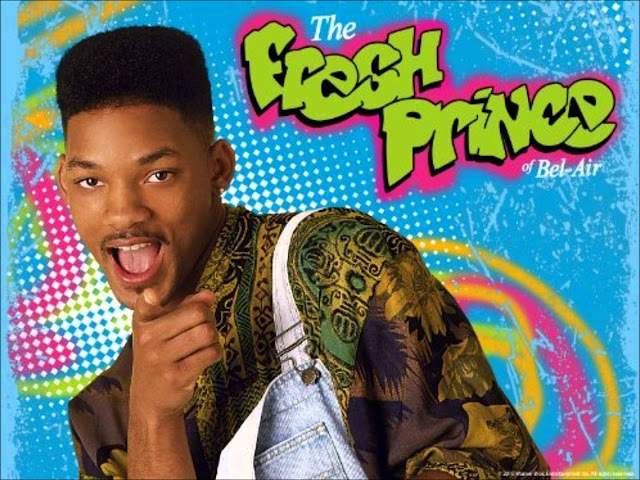 The Fresh Prince of Bel-Air is an American sitcom that originally aired in 1990. The show stars Will Smith as a fictionalised version of himself, a street smart teenager from West Philadelphia who is sent to move in with his wealthy aunt and uncle in their Bel Air mansion after getting into a fight on a local basketball court. In the series, his lifestyle often clashes with the lifestyle of his relatives in Bel Air. My fiance and I started rewatching The Fresh Prince of Bel-Air on Netflix recently; and we're already most of the way through Season Four! This is the perfect show if you're after something light-hearted and funny. In fact, I'd forgotten just how good this show was! We really enjoy watching a few episodes before bed, or after we get in from work. Black Mirror is a British science fiction television anthology series created by Charlie Brooker and centered around dark and satirical themes that examine modern society, particularly with regard to the unanticipated consequences of new technologies. Episodes are standalone works, usually set in an alternative present or the near future. 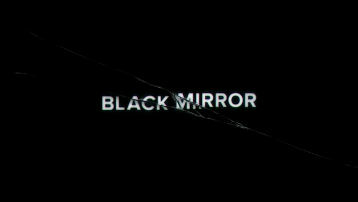 I've enjoyed Black Mirror since the first episodes were broadcast on Channel 4. I've always been fascinated by the concepts Charlie Brooker comes up with; especially with regards to the technology he envisions as being part of our life in the not so distant future. Often, the episodes hit a little too close to home. 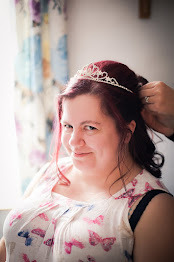 Bloggers who've watched Season Three Episode One (Nosedive) will know exactly what I mean! Stranger Things is an American science fiction-horror television series, starring Winona Ryder. 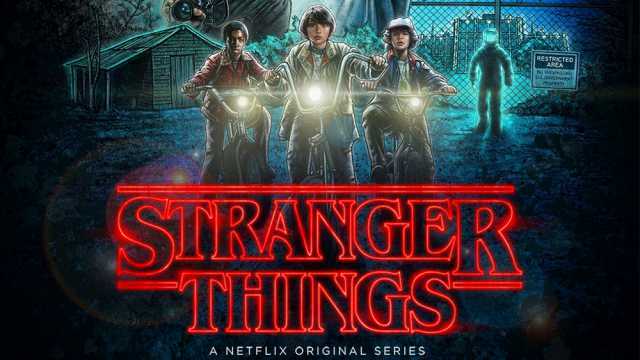 Set in the fictional town of Hawkins, Indiana, in the 1980's, the first season focuses on the investigation into a disappearance of a young boy by his brother and traumatised mother and the local police chief, amid supernatural events occurring around the town including the appearance of a psychokinetic girl who helps the missing boy's friends in their own search. I didn't like Stranger Things when I first started watching it. There was so much hype around the series, everyone was raving about it. But I just couldn't get excited about it. But after three or four episodes, I started to get a little more involved. I started to enjoy it. And by the final episode of Season One? I was hooked. Now, like everyone else, I'm eagerly awaiting the release of Season Two on Netflix! What TV shows are you loving right now? My boyfriend and I are slowly making our way through Fresh Prince of Bel-Air (as well as other shows) and it always give us a good laugh. It's not a particularly addicting show, but it's still pretty good. I gave up on Pretty Little Liars though. After four seasons, I was over thinking I knew the answers to things and then having them be completely turned upside down. Things would be such a big deal one minute, and then not matter the next. I can't wait for it to finish so I can find out once and for all what was really going on! It's not addictive but it's easy to watch and a bit of a laugh! I know what you mean - at points I got really frustrated and had to take a break from it. But ultimately, I just really had to know what happened! I adored Stranger Things! Took me ages to get round to watching it but I was hooked once I started. I couldn't get into PLL no matter how hard I tried tho. I'll deffo check out Whisper, it sounds like something I'd love. Ohh is the Whispers on Netflix? It looks right up my street! No :( It's a box set on Sky! Well worth a watch, though, if you can find it! Yep I've definitely lost a lot of hours to watching PLL, but I just finished up watching the final episodes the other week and it was so good! I actually really liked how they wrapped it all up.